Stunning glaciers. Snow-capped summits. Beautiful tea gardens. 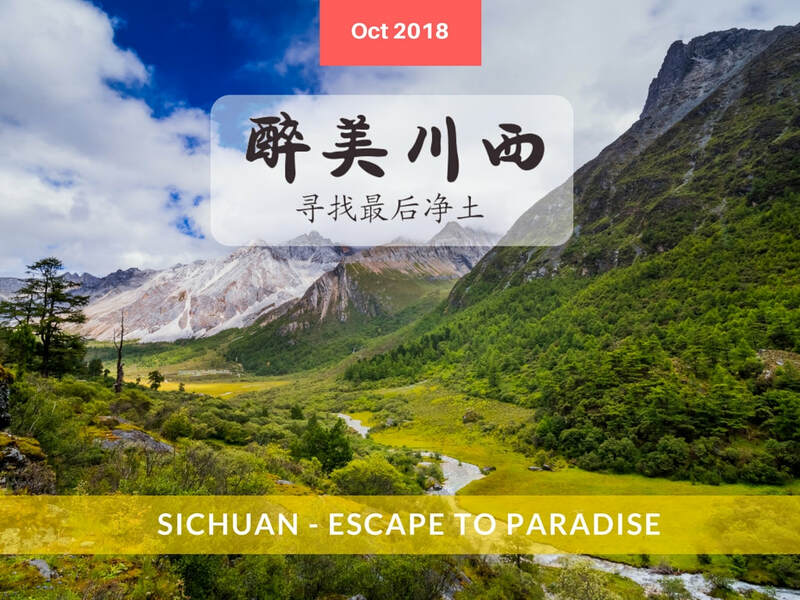 Sichuan is truly one of the world’s most ideal locations. It provides the perfect escape to paradise. This 11-day experience will allow you to experience some of the best adventures that China offers. You’ll get to visit with pandas in a nature reserve, hike through pristine valleys, and explore highland properties. 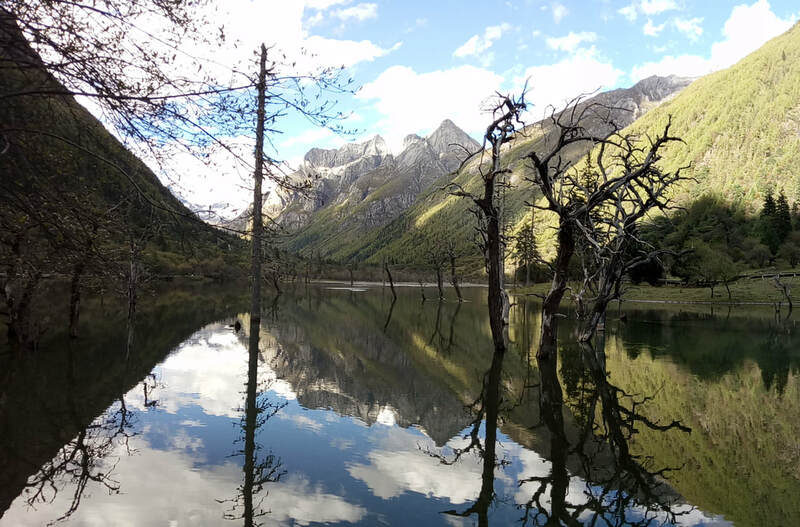 Sichuan is a land where hidden gems are waiting around every corner. Join us in October for this amazing opportunity. Daily accommodation is provided at hotels for this combined road trip with day hikes. ETA: 17:21. Local guide and driver will pick up at Chengdu airport and then transfer to the hotel. City night walk. Dinner, free and easy. Have an early night rest, prepare for the adventures tomorrow! 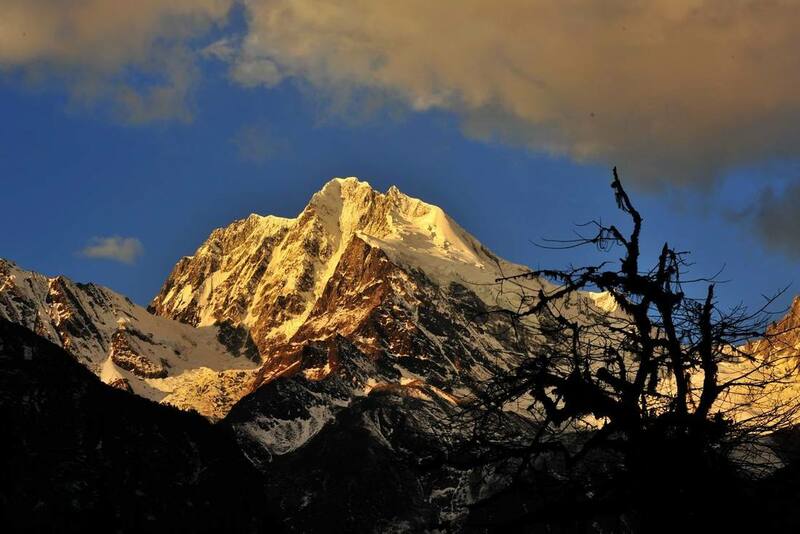 Hailuogou Glacier Forest Park is located at Luding County of Ganzi Tibetan Autonomous Prefecture of Sichuan Province, and it is famous for the spectacular glaciers as well as the snow-capped peaks. 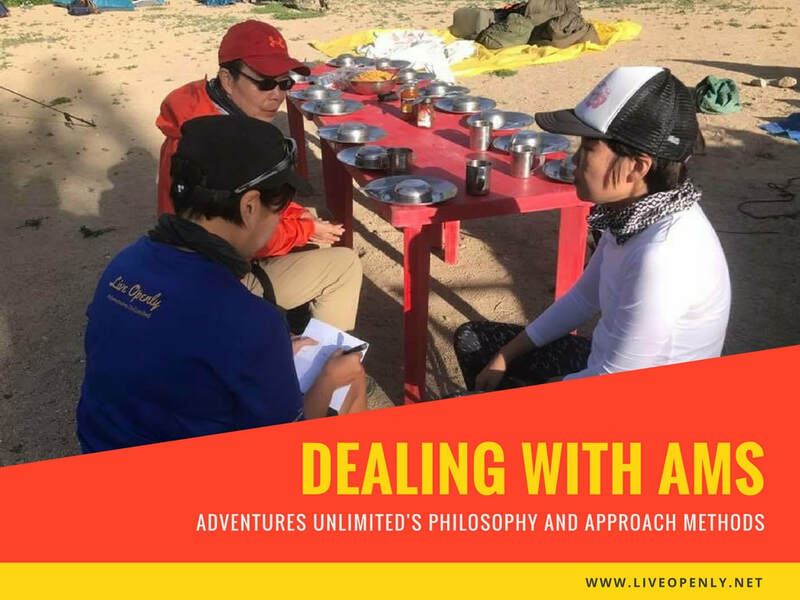 During the first 2 hours of the driving, you will see the fertile Chengdu Plain where there are villages, farmland, and rivers, and at some places there are also tea gardens. After passing Ya’an, you will gradually see more and more mountains, great rivers as well as deep valleys. In some of the mountains there are habitats of the wild giant pandas and red pandas. 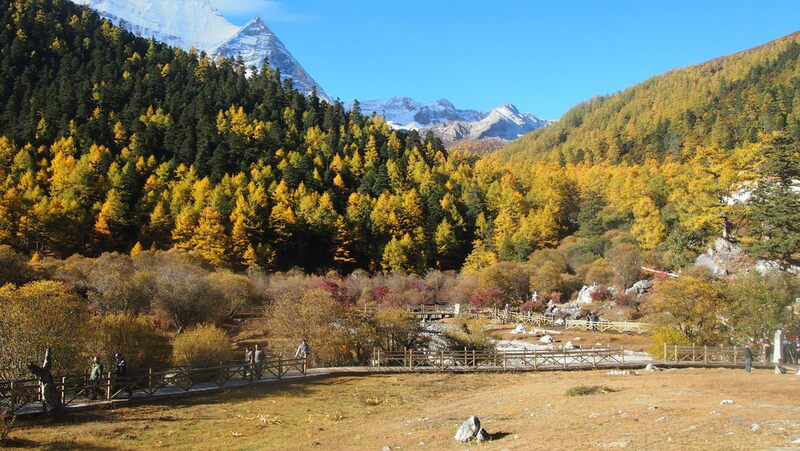 After arriving at Moxi, which is a small town at the entrance of Hailuogou Glacier Forest Park, you may take a slow walk in the town to see the local people’s life. There is a small Catholic church in the town and the leaders of the Red Army of China Communist Party had an important meeting at this church during their Long March in 1935. 28/10 Day 3: Whole-day exploration of Hailuogou Glacier Forest Park. 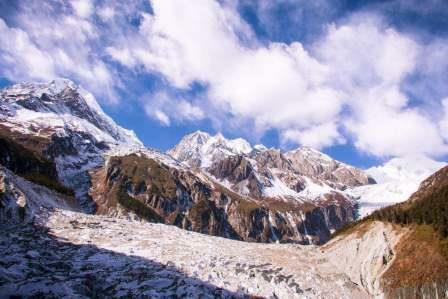 ​Today you will visit Hailuogou Glacier Forest Park, and see a wide variety of glaciers, virgin forests, and snow-capped peaks. 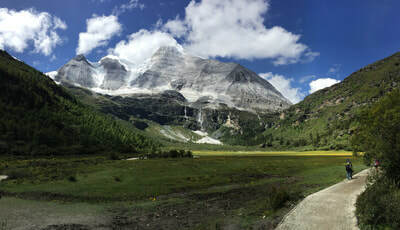 The park is located at the eastern side of Gongga Mountain, which is the highest mountain of Sichuan province, with an altitude of 7,556 meters (22,668 feet) above sea level. We will first take a sightseeing bus up to No. 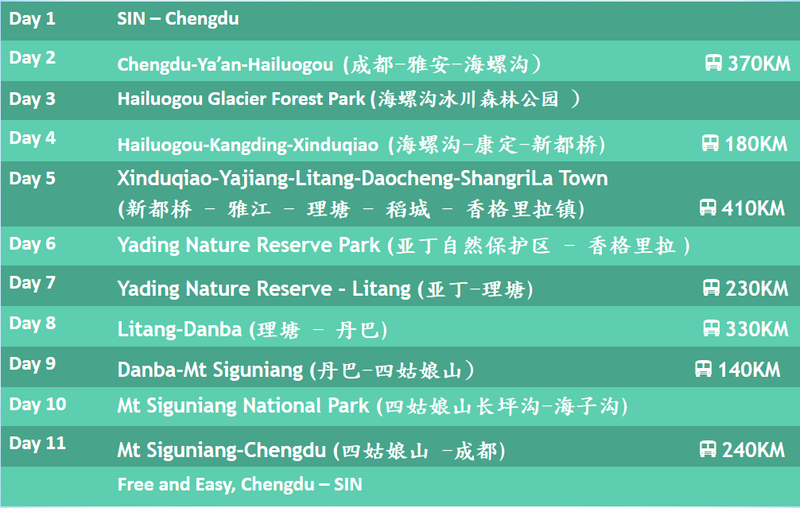 4 Camp before taking the cable car up, so that we will walk to the glaciers and enjoy the splendid scenery. And you will also do some hiking in the park besides the enjoying the scenery of the glaciers, since you will spend one day here. ​Take the sightseeing bus to go out of the park in the late afternoon when you finish your visit. In the morning drive to Xinduqiao. On the way you will first pass Kangding/康定, which is famous in China because of that famous song—Love Song of Kangding/康定情歌. 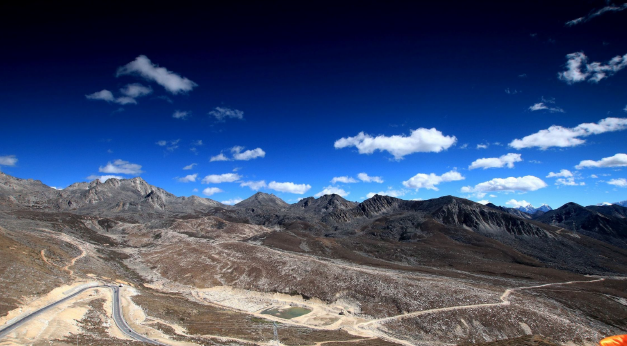 After Kangding you will pass Zheduo Mountain, which is about 4,298 meters above sea level. Xinduqiao has been known as ‘Photographers’ Paradise’, this is indeed a beautiful place. ​Today we will drive along the 318 National Road, which is also known as South Sichuan-Tibet National Road. The scenery along the way today is quite spectacular. 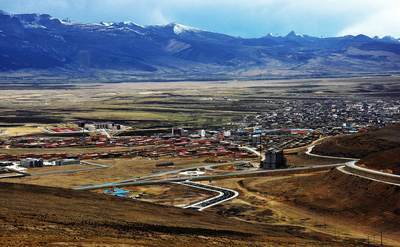 We will have lunch at Litang, which is a very important town in the Kham Tibetan area, because it is believed that this is the favorite place of the 6th Dalai Lama named Tsangyang Gyatso, who’s famous for his love poems. 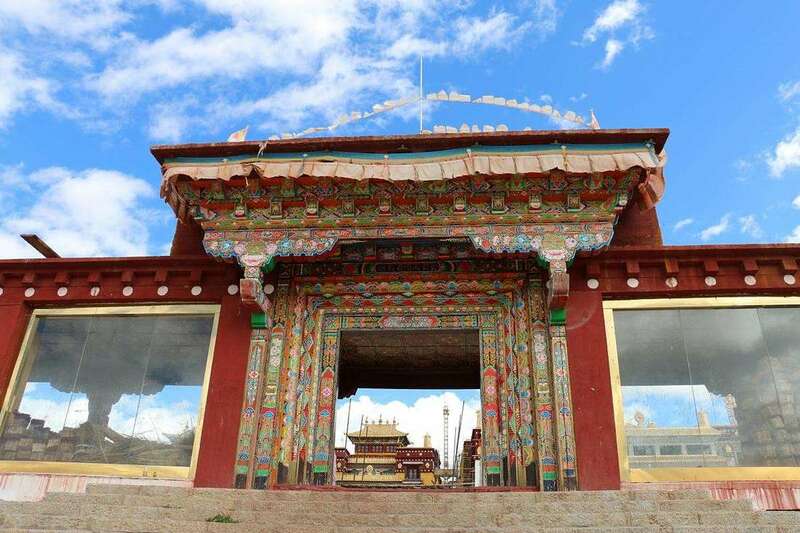 Litang is also the birthplace of the 7th and 10th Dalai Lamas. 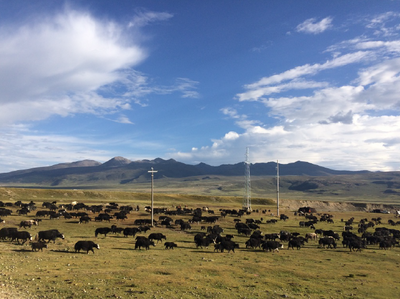 Arrive at Shangri-la Town (2,900 meters above sea level) in the late afternoon. After breakfast take the sightseeing bus for about 1.5 hours to arrive at the beautiful Yading Nature Reserve. You will see the spectacular snow-capped peaks on the way. 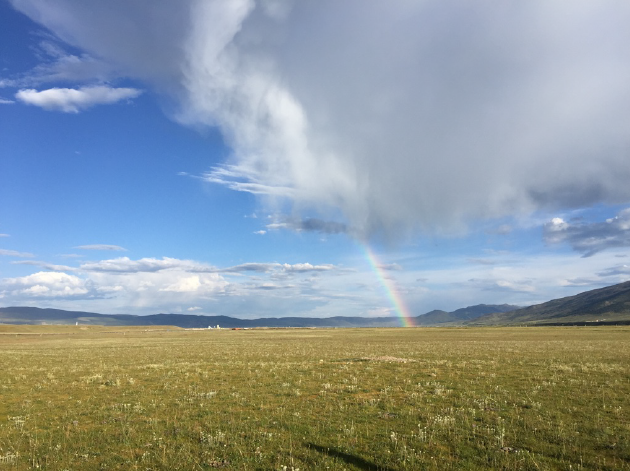 And after arriving, you’ll take a battery car to reach Luorong Pasture, which is about 4,100 meters above sea level and is also the beginning of the challenging hike to the Milk Lake (4500 meters above sea level) and Five- colored Lake (4600 meters above sea level). From here you can see holy snow mountains worshipped by the Tibetans. 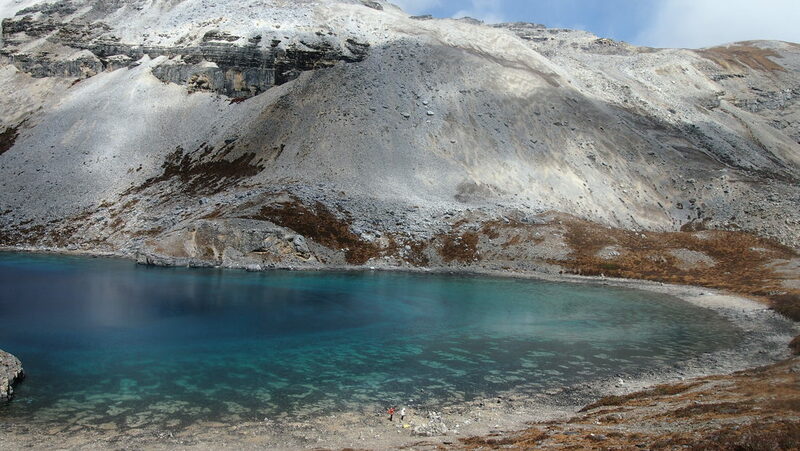 Those who would like to take the challenge of alpine hiking begin the 6-kilometer-long (3.7 miles) trek from here, and those who prefer a relaxed visit might just do some hiking around, or maybe just sit down for a cup of coffee while enjoying the scenery of the holy snow mountain called Yangmaiyong. In the late afternoon we will take the sightseeing bus down the mountain to the hotel. 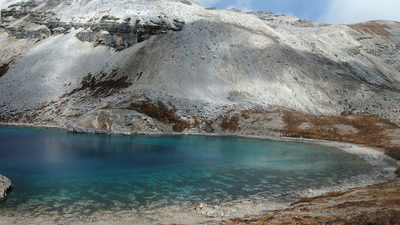 The lake in the picture above is Wusehai, which is 4,600 meters above sea level. 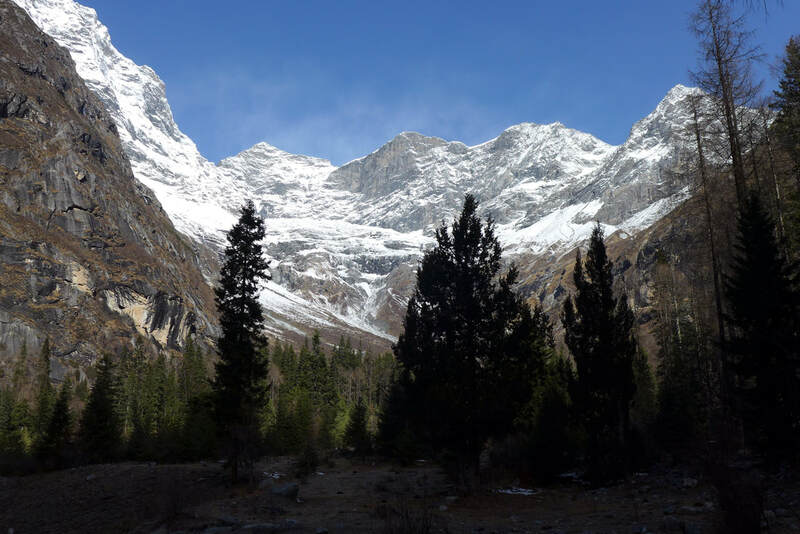 Trekking up here could be challenging, but the scenery along the way is breathtaking! This snow-capped mountain is Yangmaiyong, which is one of the three holy peaks at Yading Nature Reserve. It’s 5,958 meters above sea level. Together with the other two holy mountains, it’s worshipped by local Tibetans. still early, visit the Tibetan Buddhism Monastery in the town. ​Today we will first drive back to Xinduqiao, and after that visit the beautiful Tagong Grassland. If you are interested, you may also ride a horse at the grassland. If the weather is good and clear, you will be able to see Yala Holy Mountain, which is about 5,800 meters above sea level. 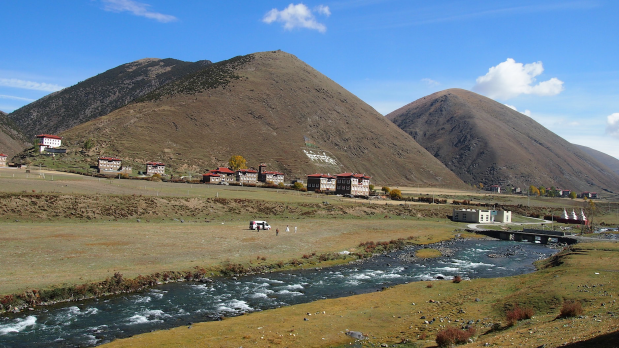 Before arriving at Danba, you will see the beautiful Yak Valley along the way, and at some parts of the valley, there are natural hot-springs. Overnight: guesthouse at Jiaju Tibetan Village of Danba. Take a visit of the village in the morning. 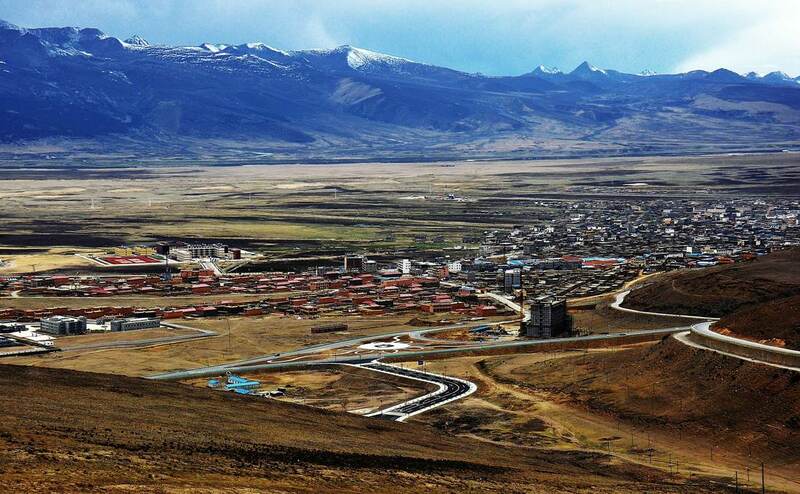 Jiaju Tibetan Village is inhabited by Rgyalrong Tibetans, and it’s considered to be one of the most beautiful villages of China. You may take a slow walk in the village, see the beautiful architectures, try some local fruits (depends on the season), and stroll along the farmland where they mainly grow highland barley and corns. You may also walk up the higher part to get a bird-view of the village. After that drive to Mt Siguniang for lunch. 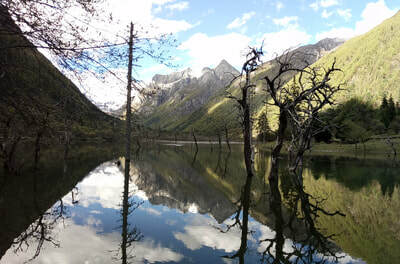 In the afternoon visit Shuangqiao Valley of Mt Siguniang National Park. This valley is scattered with stunning snow-capped peaks, some of which are over 5,000 meters above sea level. You’ll take the sightseeing bus to 6 different places in the valley and at each place you may walk around to enjoy the views. Those who do not like to walk too much might just hike for a few kilometers, or ride a horse for several kilometers and then walk back. While those who are very interested in hiking might try to walk as much as possible. The hiking trail in the valley is about 22 kilometers long. 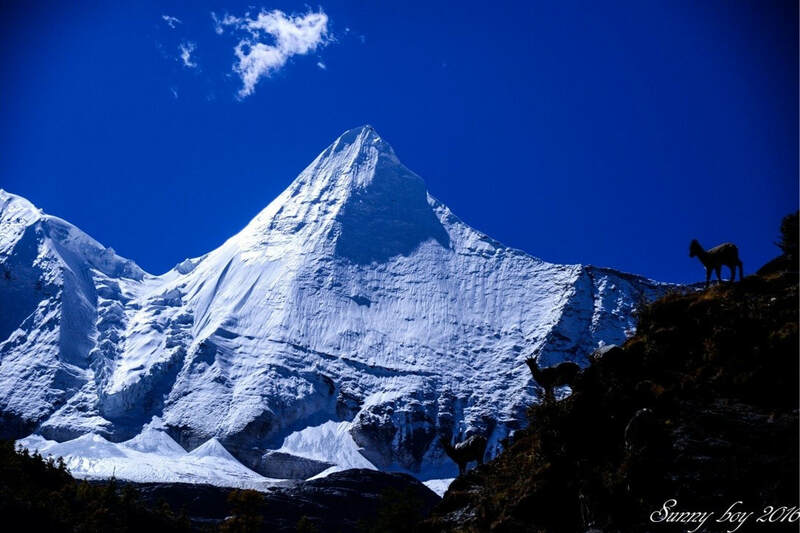 If the weather is good, you’ll have the opportunity to see the gorgeous views of the four peaks, which are called ‘four girls or four sisters’ in both Tibetan and Chinese languages, and the highest peak is 6,250 meters above sea level. 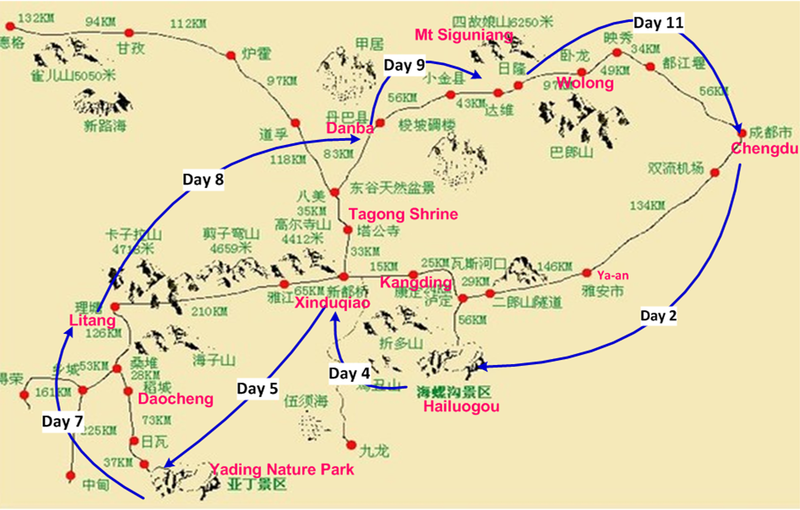 5/11 Day 11: Mt Siguniang-Wolong Panda Base-Chengdu: 240 kilometers. ​After breakfast we will drive back to Chengdu, and on the way we’ll stop to visit the panda base near Wolong Nature Reserve if time permits. This panda base is located in the remote countryside and the mountains around are the habitats of the wild pandas. The old panda base was destroyed during the 2008 big earthquake, after the pandas that survived after the earthquake were moved to Bifengxia Panda Base 150 kilometers south of Chengdu. You will back to Chengdu in the late afternoon. Free and easy after lunch. 2. Accommodation: 11 nights, twin-bed rooms, breakfast included. Chengdu: Civil Aviation Hotel/⺠民航大厦宾馆, 3 star. 海螺沟温泉酒店, stay for 2 nights here. Xinduqiao: 318 Motel/318汽车旅馆, 3 star. Shangri-La Town in Daocheng: Lvye Yading Hotel/ 绿 野亚丁酒店, 3 star. Litang: Qian Xi Hotel/千禧 大酒店, 3 star. Danba Jiaju Tibetan Village/丹巴甲居藏寨: local guest house in the village. Mount Siguniang（Rilong）: Guishan Hotel/贵山商务酒店， 3 star. 6. 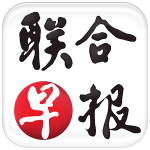 Chinese-speaking tour guide service from Day 1 to Day 11.